North Perth is a suburb of Perth, Western Australia, located within the City of Vincent.This old, established suburb three kilometres north of Perth’s CBD is a place of mainly solid brick homes built from the early 1900s, many of which are now undergoing extensive renovations in line with the nationwide trend toward close-to-the-city living. Get in touch with nature at Burns Beach and Yokine Reserve. Get a sense of the local culture at Saracen Estates and The Railway Museum. And it doesn't end there: look for all kinds of wild species at Matilda Bay Reserve, have fun at City Summit Indoor Rock Climbing, tour the pleasant surroundings at Bold Park, and explore the activities along Lake Monger. To see where to stay, maps, photos, and more tourist information, you can read our North Perth day trip website . Perth to North Perth is an approximately half hour car ride. In July, daily temperatures in North Perth can reach 21°C, while at night they dip to 7°C. Finish up your sightseeing early on the 9th (Tue) so you can travel to Coral Bay. Coral Bay is a small town on the coast of Western Australia, north of Perth. Get in touch with nature at Dolphin & Whale Watching and Scuba & Snorkeling. There's lots more to do: enjoy the sand and surf at The Coral Bay Shark Nursery, look for all kinds of wild species at Ningaloo Marine Park, and head outdoors with Aqua Rush. Start your trip to Coral Bay by creating a personalized itinerary on Inspirock. Use the Route module to find suitable travel options from North Perth to Coral Bay. Wrap up your sightseeing on the 12th (Fri) early enough to drive to Kalbarri. Step out of the city life by going to Chinaman's Beach and Zuytdorp Cliffs. There's still lots to do: explore the activities along Hutt Lagoon, push the limits with an extreme tour, explore the wealth of natural beauty at Ross Graham Lookout, and explore the striking landscape at Eagle Gorge. To find out how to plan a trip to Kalbarri, use our trip itinerary maker. Drive from Coral Bay to Kalbarri in 7 hours. Alternatively, you can take a bus; or do a combination of bus and flight. Finish your sightseeing early on the 16th (Tue) to allow enough time to drive to Geraldton. Geraldton is a coastal city in the Mid West region of Western Australia, located 424km north of Perth.At June 2015 Geraldton had an estimated urban population of 39,825. 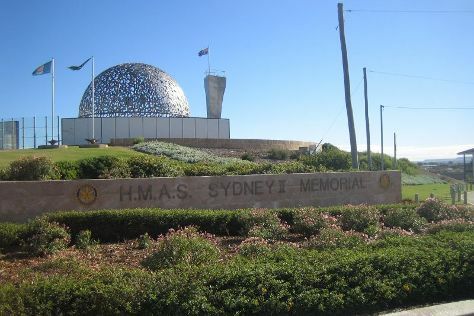 Kick off your visit on the 17th (Wed): brush up on your military savvy at HMAS Sydney II Memorial, get engrossed in the history at Museum of Geraldton, view the masterpieces at Geraldton Regional Art Gallery, then get engrossed in the history at Monsignor Hawes Heritage Centre, and finally take in the architecture and atmosphere at St Francis Xavier Cathedral. For more things to do, photos, and other tourist information, read Geraldton vacation planner . Traveling by car from Kalbarri to Geraldton takes 2 hours. Alternatively, you can do a combination of taxi and bus. In July, daytime highs in Geraldton are 23°C, while nighttime lows are 9°C. Finish your sightseeing early on the 17th (Wed) to allow enough time to travel to Jurien Bay. 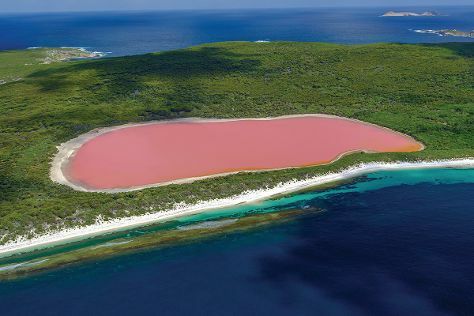 Jurien Bay, is a coastal town in the Wheatbelt region of Western Australia, 220km north of Perth facing the Indian Ocean.HistoryThe coastline around Jurien Bay was first known to Europeans in the 17th century. Start off your visit on the 18th (Thu): see what you can catch with a fishing tour, then explore the landscape on two wheels at Turquoise Way Trail, and then view the masterpieces at Sea Spray Art by Kiera. To see where to stay, ratings, maps, and other tourist information, you can read our Jurien Bay trip planner . Traveling by car from Geraldton to Jurien Bay takes 2.5 hours. Wrap up your sightseeing by early afternoon on the 19th (Fri) to allow time for travel back home.